Kaua‘i’s 120-year-old sugar industry may have hauled its final harvest to the mill, but what remains is a place where the vibrant spirit of the era survives. KILOHANA PLANTATION is a unique destination that recalls a time when “Big Sugar” dominated the island’s economy, culture and landscape. Today, it’s no longer a working plantation, nor is it a museum or historical site; instead, it is a visitor destination where entertainment— not raw sugar cane—is produced. Kilohana once was a sugar baron’s estate, and its centerpiece remains a charming mansion dating from 1936. Half a century later, the mansion was converted into a restaurant and collection of shops. Since then, the plantation has grown to include a 2.5-MILE GUIDED EXCURSION on a reconstructed sugar-era railway, a LU‘AU, a RAINFOREST HIKE and RUM TASTING at an on-site distillery. 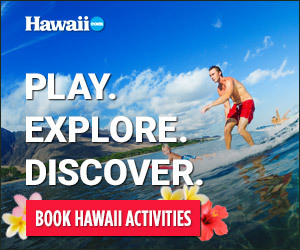 If a train tour is tugging at your heartstrings, Kilohana offers delightful TRAIN NATURE WALK LUNCH ORCHARD ADVENTURE and LUAU EXPRESS TRAIN TOUR & LUAU KALAMAKU packages, in addition to its fun, 40-minute Signature Train Tour. The Lunch Orchard Adventure ties in a little bit of all the great things the plantation offers with a lot of aloha. Your four-hour adventure will take you on a SIGNATURE TRAIN TOUR and nature walk, with a guide through a tropical forest, before you pause for a delicious deli lunch with freshly picked pineapple. After, stroll through the tree orchard for a snack—fruit you pick straight off the tree!—before boarding the train and heading back to the depot. The plantation’s leisurely atmosphere is reflected in the 100 acres of orchards, farms, forests and gardens whose fresh seasonal fruits find its way from the farm to GAYLORD’S RESTAURANT, as well as the farm-to-glass cocktails in the MAHIKO LOUNGE. Enjoy Gaylord’s courtyard setting for lunch, dinner or Sunday brunch. A trip to Kilohana is not complete without discovering the 11 unique shops located within the home and grounds. The master bedroom’s Canefields Clothing or Kaua‘i’s own Koloa Rum and Tasting Room are both found on the property. Whether you ride a train, taste some run, dine, shop or see their award winning Lu‘au Kalamaku, you will leave knowing you experienced a glimpse of Kaua‘i’s past. The plantation is located off Highway 50 between Kukui Grove Center and Kaua‘i Community College. Call (808) 245-5608 for information on Kilohana Plantation.